The Fungus from another planet! Well I was just having my coffee this morning and looking down at the Arbor stone when I noticed this nasty looking growth. Turns out there are 3 or 4 of them - always attached to the side of the large stones we have. Can anyone tell me what this is? And what to do!!! 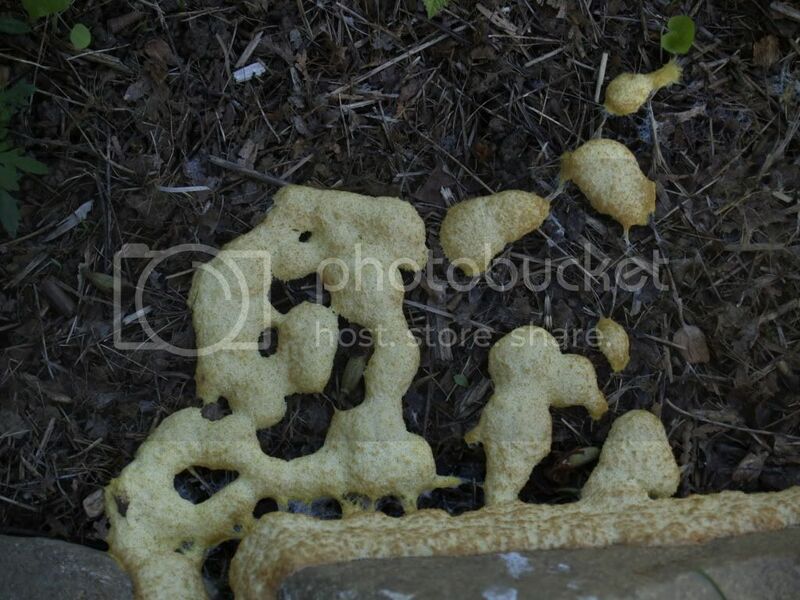 It looks to me like it might be slime mold. I'm pretty sure they're harmless. That's certainly an appropriate name... I guess it's coming up from somewhere in the the soil. So just keep pulling it up until it eventually runs out of steam, or is there something I can pour on the area? Green tea, cheap vodka - anything? Fungi tend to like moist conditions. Does the area where it's growing stay wet? 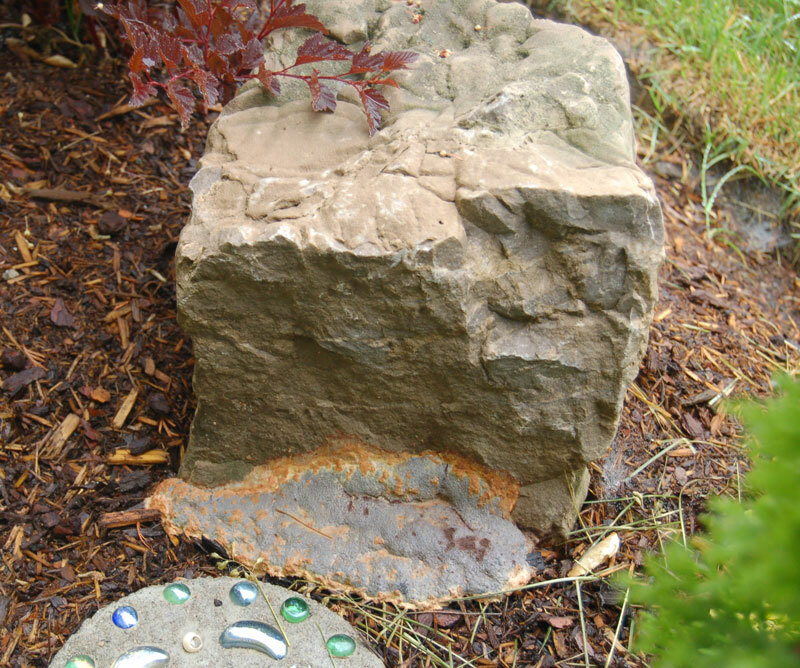 If the stone shades that area, perhaps it stays more damp than surrounding areas. They also to like to grow on any decomposing organic matter. Maybe you could pull the mulch away from that area until it has a chance to dry out? Other than altering the conditions to deter the mold, removing it manually whenever it appears is about all you can do. That I know of, anyway. Ah ha! This is a classic example of the variety of slime mold called by a descriptive, if unappealing, name of "Dog Vomit Mold"
Try a google search and see many variation thereof. Harmless and goes away on its own in a few days. Try this Chcago Tribune blog article -- wou YOU eat it? Nice... I should put that on the kids plate next time they turn their nose up at whole wheat pasta. I actually hope we get to see some again this year! What to do about fungus?